The unmatched productivity and versatility of the Harley Power Box Rake makes it an extremely popular, time tested tool for cultivation. It allows you to soften, level, mix and grade and is engineered to keep time consuming labour to a minimum. It is great for use on hard and compacted infield material, trench restoration and golf course construction. The roll-back barrier allows you to quickly react to soil moisture conditions and choose the size of material you want to leave in the seedbed. Raising the barrier promotes faster soil drying and opening up of muddy sites. 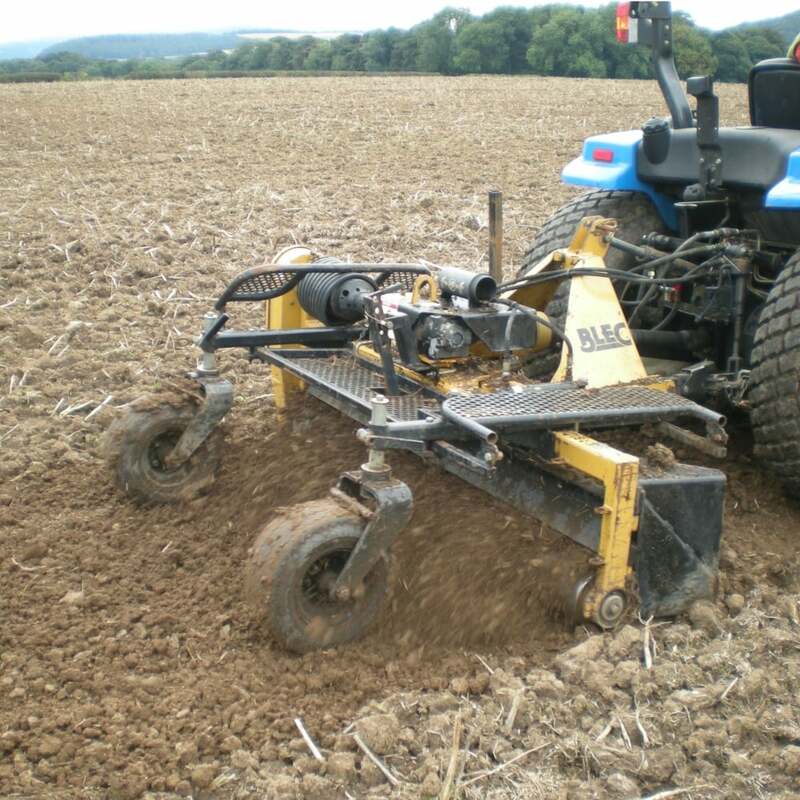 The independently adjustable gauge wheels allow for skim passes for over-seeding and the pure carbide teeth are specially shaped to ensure the best possible seedbed sub-base fracture pattern and superior moisture retention.